Vehicle batteries can deteriorate over time, even when they are not being used. Take advantage of the sun’s energy when you need to charge your RV’s batteries. Solar power is environmentally friendly and because the sun is an open resource, solar energy does not have a cost for consumption. However, it can be a hassle to mount a panel to your RV’s rooftop, and there is the added issue of having to keep it within view of the sun. The Go Power portable folding solar kit takes care of those issues, letting you use solar power to charge your batteries without having to keep your vehicle parked in the sun. These folding solar kits are available in 3 sizes to meet your needs. Setup is simple, featuring plug and play capabilities, and only takes a few minutes. The angle on the solar panels can be adjusted to make sure they are receiving the full amount of sun. The kit comes with all the extra items you’ll need to operate it, including a solar controller, battery clamps & 15′ of cable. The solar controller makes sure your batteries do not get overcharged. 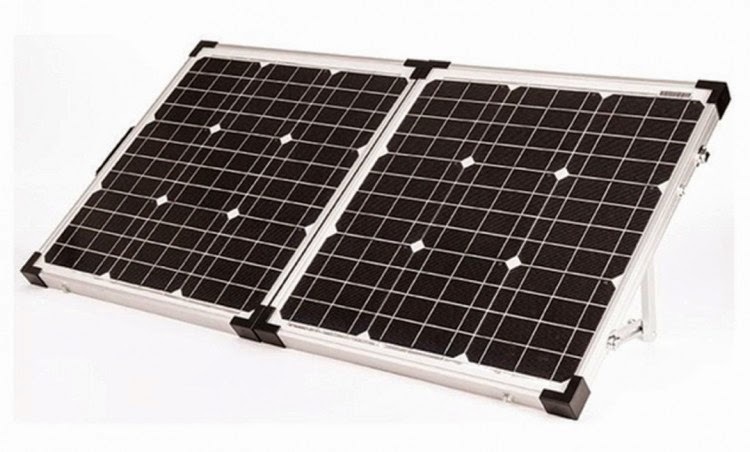 The Go Power folding solar kits work well with smaller camper and pop-up trailers, and can also be used along with larger solar kits if extra power is needed. These kits can save you time and effort when needing to recharge, as well as being cost effective.